The DOTMS is one stop solution for Tutors and Students for their teaching and learning requirements. This system gives tutors to find the student requirements based on their subject and location , and as same student can find tutors by a simply posting their requirement online. The communication management between tutors and students can be made easy with this system. 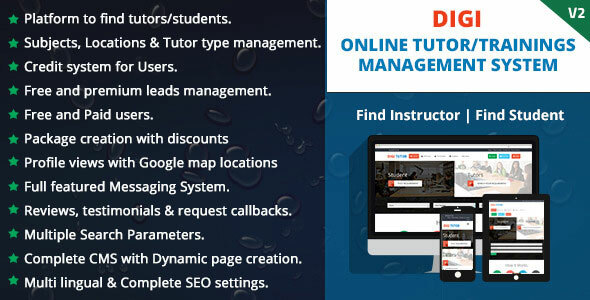 This Tutor management system is useful for all sorts of small and medium organisations like tutor agencies, online tutoring agencies, online course training institutes, learning management organisations.